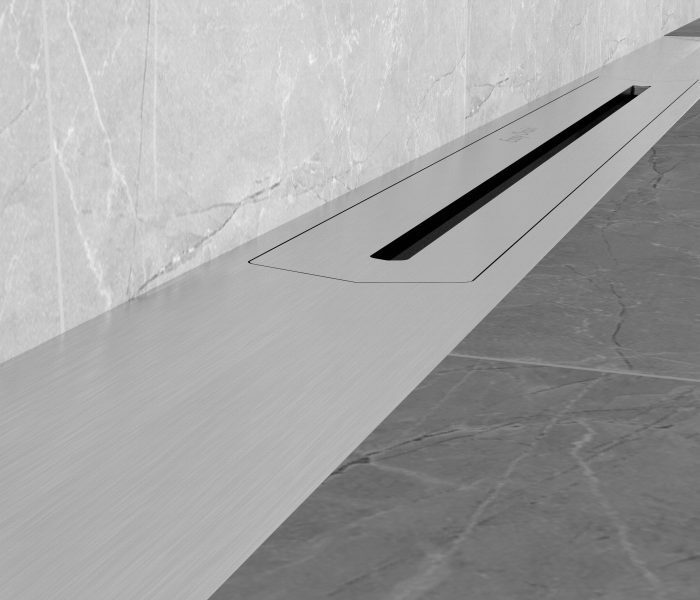 Easy Drain R-line is not only functional, but also beautifully designed. 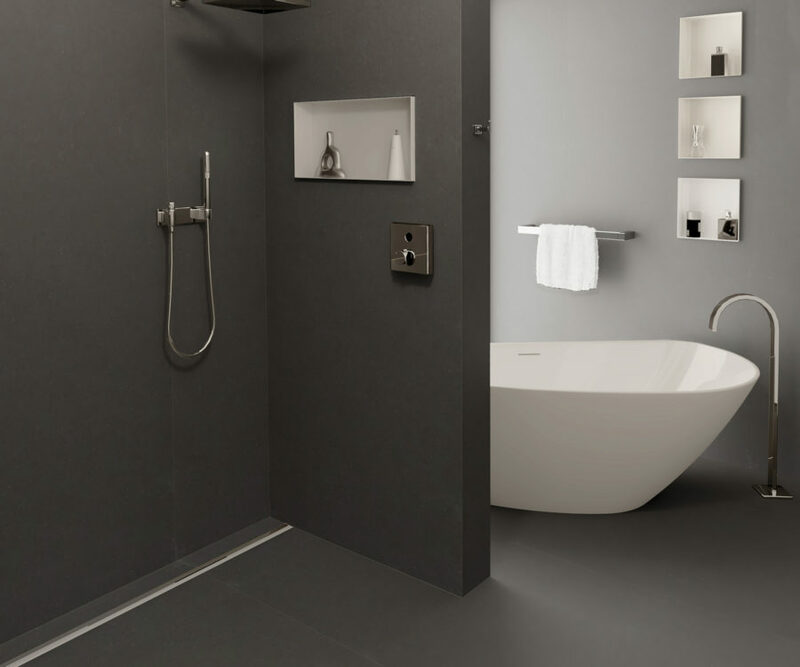 This shower drain with a subtle slope comes in two models; for against-wall or floor applications. 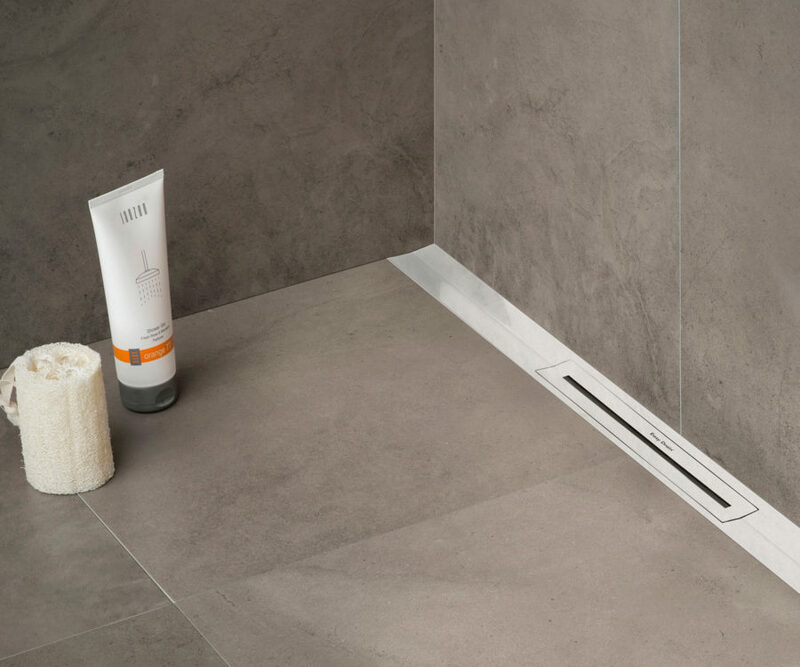 The grate finish is either polished or stainless steel, and integrates seamlessly into any bathroom floor. 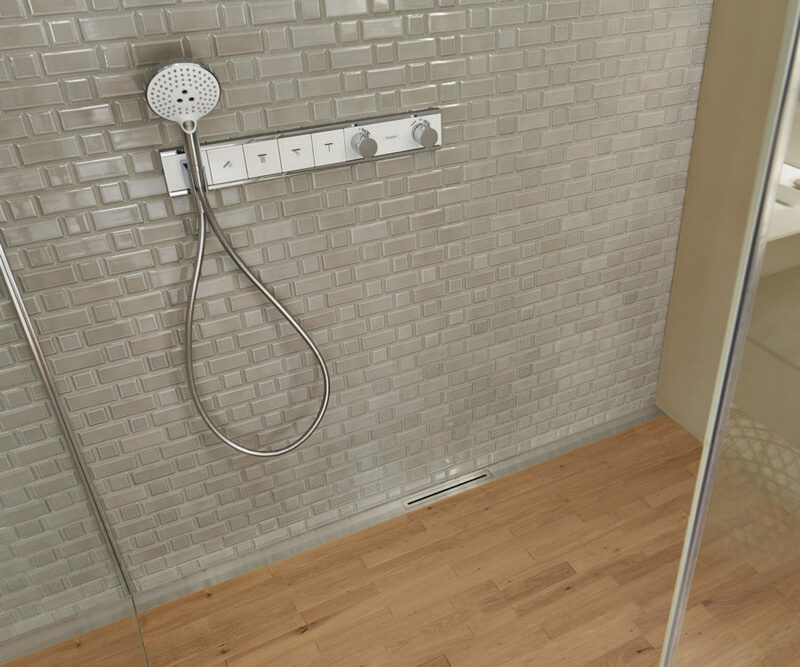 This shower drain comes in various standard lengths and can be shortened on-site. Furthermore, the TAF (Tile Adjustable Frame) and WPS (Water Protection System) ensure easy installation with guaranteed watertightness. The Easy Drain R-line is a custom length shower drain with a subtle slope that fits perfectly into any bathroom floor. This easy-to-clean shower drain comes with two siphon options which handle any drainage situation. The "Tile Adjustable Frame" and "Water Protection System" ensures an easy installation and guarantees a 100% watertightness. Choose your finish. Choose your style. 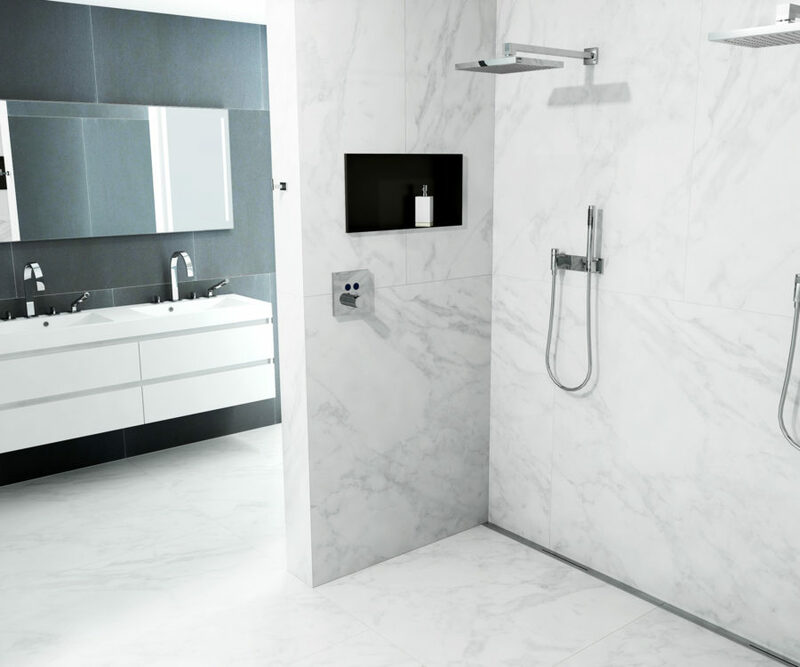 Our Easy Drain series provides you with the opportunity to design your bathroom exactly as you want it. 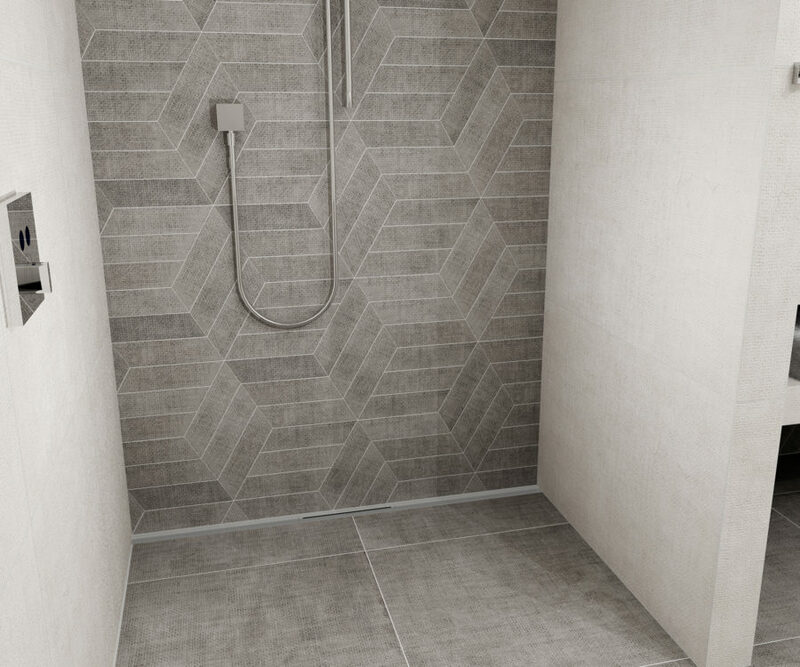 The program offers unique design sets that are perfect for small and large-sized shower floors. With the modern and timeless design grates, you have the opportunity to personalize your shower sensation. With the patented Water Protection System (WPS), we offer 10-years warranty on any installation. 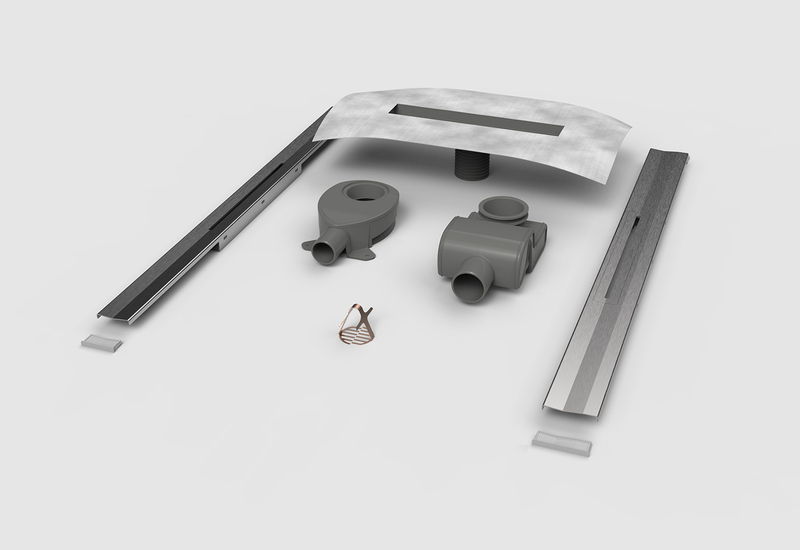 This WPS-system consists of a flexible waterproofing membrane which is connected to the drains stainless steel flanges or special cuff.  This way, leaking as a result of faulty installation due to unfavorable conditions is eliminated.